Not much riding to report since last week beyond the normal everyday commuting. Not that is isn't enjoyable for me just not much to report on. It did rain just about everyday but then again, I kind of enjoy riding in the rain. The R100RT fairing provides pretty good coverage and I don't think I ever really got very wet. I did wash the bake last week maybe that's the reason for the rain. I'm back in Barrow again and it still feels like winter. Granted, Fairbanks was beautiful today with temperatures in the mid 70s. I ran a few errands with the bike but spent much of the day getting ready to come up. The purchasing group mistakenly had a bunch of stuff delivered in Fairbanks instead of Barrow so I ended up bringing a bunch of stuff up as baggage. 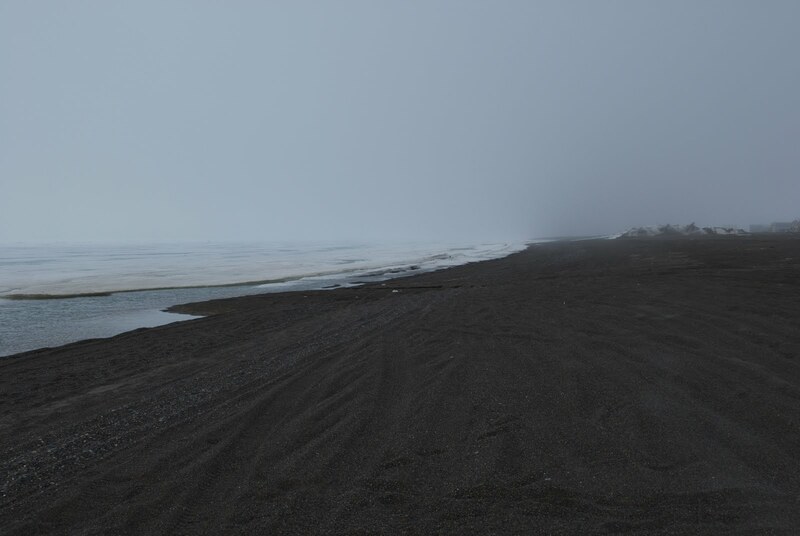 This is a shot of the Arctic Ocean facing roughly northwest along the beach. It was cold (30°F) and windy. As you can see, the ice hasn't gone out yet except for the small lead right next to the shore. On the flight in, you could see some large leads several miles off shore. I though about getting some walking in but decided that it was too cold to spend much time outside especially since I just had a light coat on. 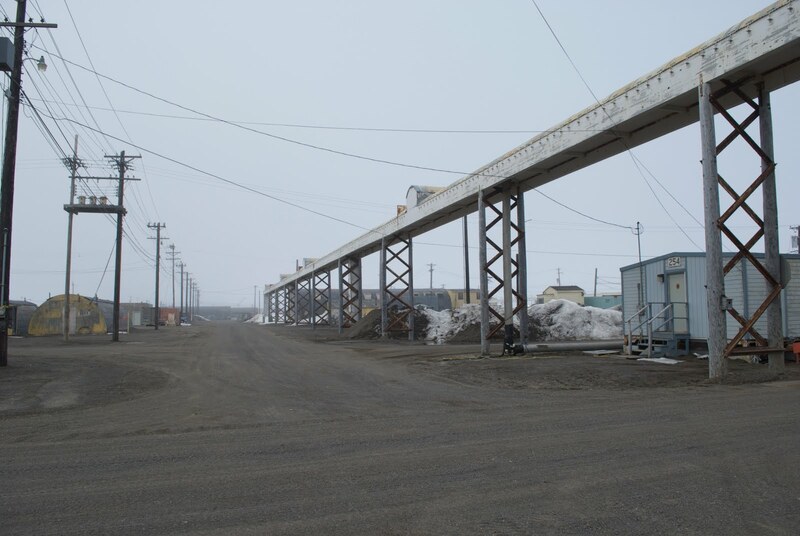 This is on the NARL (Naval Arctic Research Lab) campus and shows some of the above ground utilidors. I believe the only thing they are still used for is delivering natural gas. 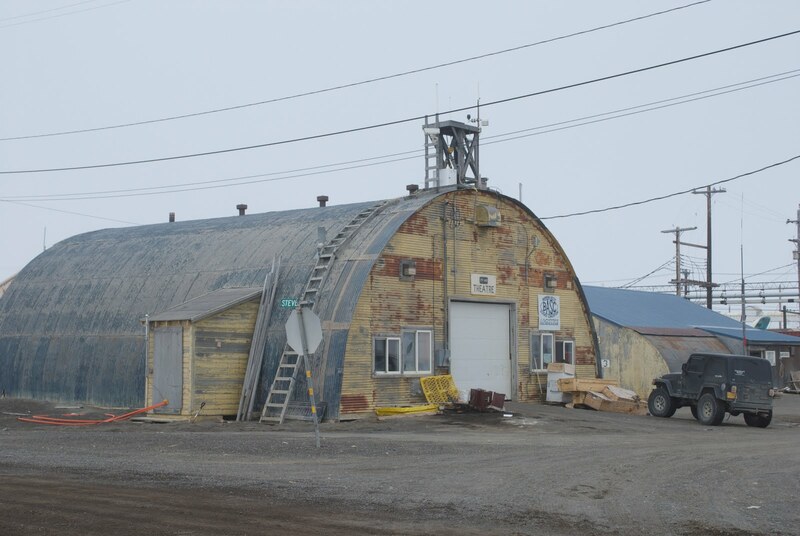 The building right next to the overhead utilidor is hut 254 which is an example of the housing units made available to researchers coming up to do their work. Just to the left of this shot are huts 2 & 3 which are shown in the last shot.